It's been a long time since our last blog post. But we wanted to write briefly about the recent additions to the brewery -- five oak foudres (French for large, oak barrel). We purchased them used from Markham Vineyards in Napa, which used them for aging its Sauvignon Blanc. 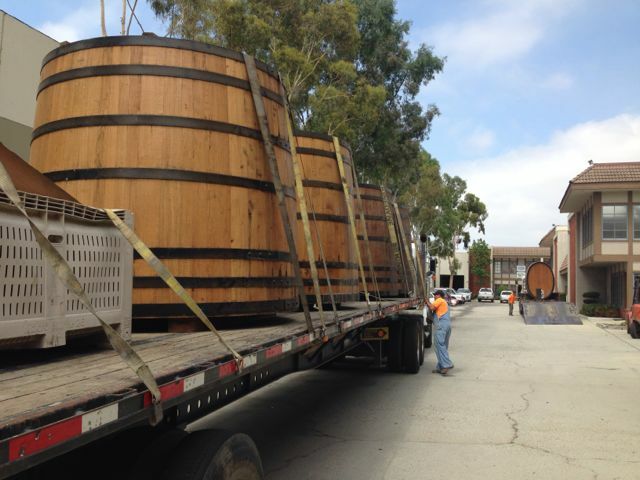 Four of these 1400gal French oak foudres are uprights, while the other one is oval shaped. The foudres will be dedicated to wild and sour beers. We haven't decided on how we will approach all five vessels. We know it could take quite, quite some time before sour beer will be ready out of these foudres. So we would like to initiate them by devoting a couple foudres for long-haul beers, and a couple for not-too-long-ish sour beer aging. And for the oval we are planning primary fermenting and conditioning 100% brettanomyces beers. Given our modest business model and funds, we couldn't afford barrel-aging beers at the outset as desired. Aging beers take extra-invested money, time, and real estate. But now having made it past our 2-year mark we have embarked on what we always wanted to do with Monkish -- create sour beers. So we've bought and filled dozens of wine barrels, and we couldn't resist buying these foudres. 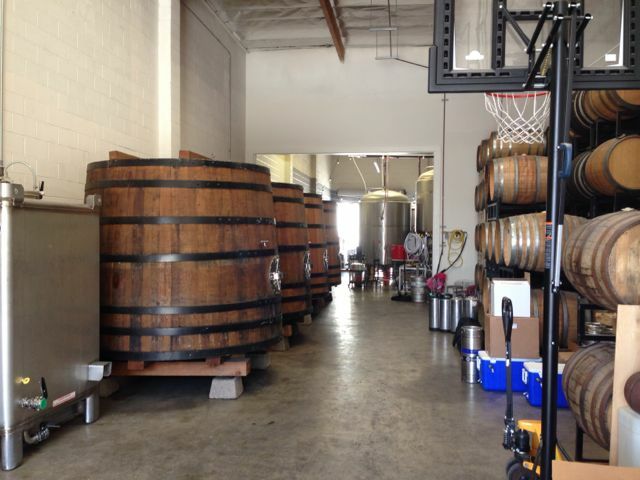 Why buy foudres over stainless steel tanks or typical-sized (59gal) oak barrels? Why not :) At Monkish, we try to be focused in what we do and want to do. We're fairly comfortable with the amount of stainless steel fermentation capacity. This year we have invested more money in oak barrels and will continue to do so. But compared to oak barrels, with these foudres we hope we'll better be able to control things related to our brewing process and conditions. And of course, we love their aesthetic quality and storied history in beer- and wine-making! And doesn't the necessitated characteristics of foudre beers - time, patience, and mystery - jive with the virtues of being "Monkish"? !